BAD! It is not OK to wear the US flag. Not as a swimsuit, not as a cape, not as a t-shirt. Not. O. K.
There are rules. How we should display the US Flag is described clearly in something called the US Flag Code. There’s a link below; meanwhile, here are my pet peeves. Far too many citizens are either ignorant or uncaring about how they should display their flag. Let’s try and set that right, OK? 1. You can’t wear the flag. Section 8d: The flag should never be used as wearing apparel, bedding, or drapery. 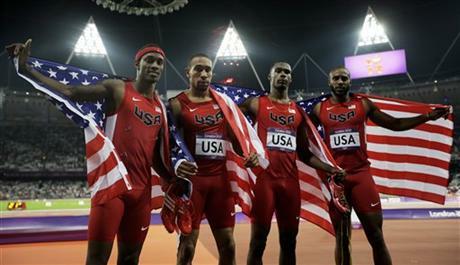 Section 8j: No part of the flag should ever be used as a costume or athletic uniform. I cringe at the Olympics … no, you shouldn’t wrap yourself in the flag. It shouldn’t be on your t-shirt. It shouldn’t be printed on your clothing at all; you can’t wear the flag (there are a few obvious exceptions, such as patches worn on uniforms by our astronauts, military and police. And Boy Scouts!). 2. You can’t imprint flags on napkins. You can’t imprint on commercial items … like credit cards. BAD! Totally wrong to wipe your mouth on these napkins. Section 8i: The flag should never be used for advertising purposes in any manner whatsoever. It should not be embroidered on such articles as cushions or handkerchiefs and the like, printed or otherwise impressed on paper napkins or boxes or anything that is designed for temporary use and discard. 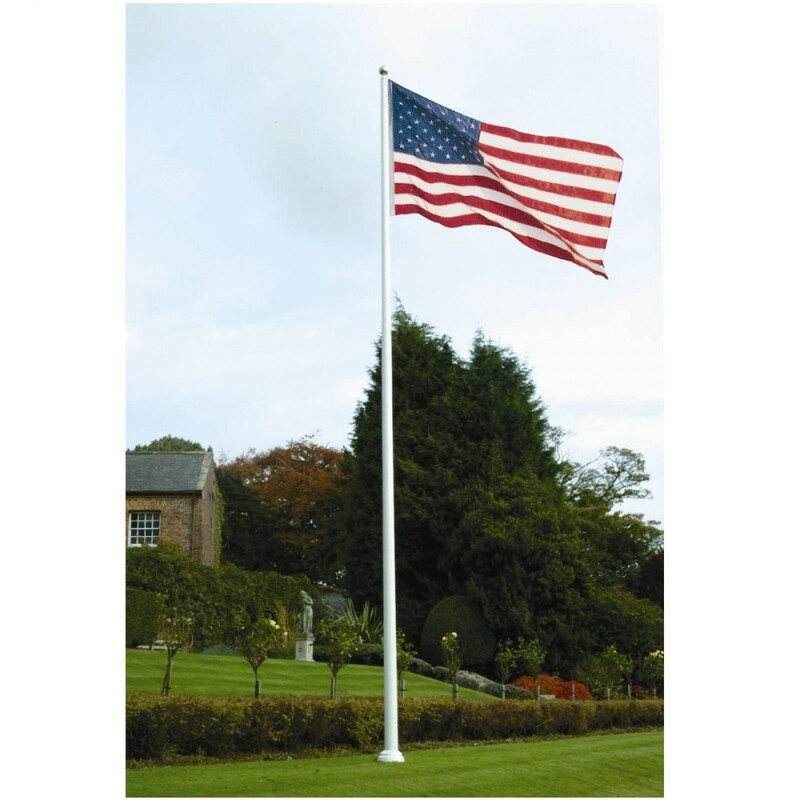 Advertising signs should not be fastened to a staff or halyard from which the flag is flown. It’s really simple: you can’t use the flag to promote your business (which is the advertising part). And you can’t imprint the flag on something that’s meant to be thrown away, like napkins or boxes. The flag should be given more respect than that. 3. The flag goes to the right of the speaker on stage. Section 7k: When used on a speaker’s platform, the flag, if displayed flat, should be displayed above and behind the speaker. When displayed from a staff in a church or public auditorium, the flag of the United States of America should hold the position of superior prominence, in advance of the audience, and in the position of honor at the clergyman’s or speaker’s right as he faces the audience. Any other flag so displayed should be placed on the left of the clergyman or speaker or to the right of the audience. BAD! This flag needs to be retired immediately. 4. 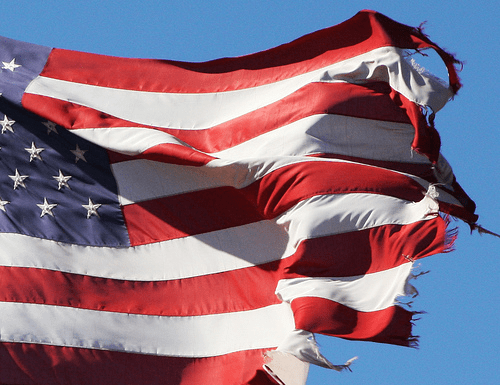 When a flag becomes soiled or tattered, it should be destroyed. Section 8k: The flag, when it is in such condition that it is no longer a fitting emblem for display, should be destroyed in a dignified way, preferably by burning. If the flag is showing visible wear, then it is no longer suitable for display. This is an utterly simple concept, but it’s ignored by almost every business that displays the US flag. When flags need to be retired, you can do it yourself in a private ceremony if you wish. Organizations like the Boy Scouts or VFW will also help you destroy worn flags, if you would like their help. I’ve participated in several flag retirements. It’s a very emotional event. BAD! Katy Perry’s costumes are not to be made of flags. 5. Flags do not fly in the dark unless they are properly lit. Section 6a: It is the universal custom to display the flag only from sunrise to sunset on buildings and on stationary flagstaffs in the open. However, when a patriotic effect is desired, the flag may be displayed twenty-four hours a day if properly illuminated during the hours of darkness. The Code is silent on what “proper illumination” would be, but the flag should not be left in darkness. Further, the flag should only fly in inclement weather if it is a weatherproof flag (e.g., nylon, not cotton). 6. When flags are displayed hanging from a wall, then the blue field is to the left of the observer, or on the flag’s right. Section 7i: When displayed either horizontally or vertically against a wall, the union should be uppermost and to the flag’s own right, that is, to the observer’s left. When displayed in a window, the flag should be displayed in the same way, with the union or blue field to the left of the observer in the street. Display the flag properly, or don’t display it at all. Why is this such a hard idea? The rules are very simple, right? BAD. No way this flag can be put away while showing proper respect for the US flag. 7. 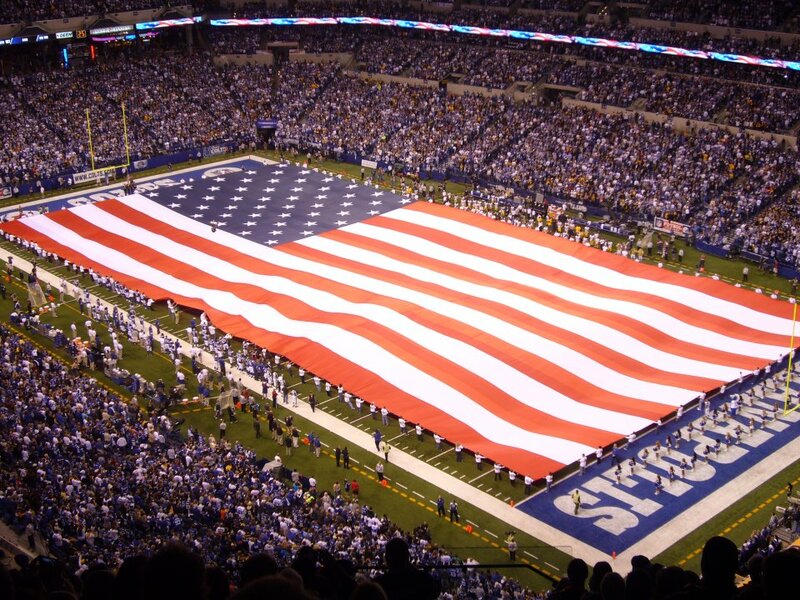 A flag should not be touching other objects … like a nearby tree, or a roof. Section 8e: The flag should never be fastened, displayed, used, or stored in such a manner as to permit it to be easily torn, soiled, or damaged in any way. This happens in my neighborhood all of the time. People post a flag from the front of their house, but are then oblivious when the flag snags on the roof or nearby tree branches. If you’re not displaying the flag properly … you’re not showing respect. In my view, you’re showing contempt and ignorance. 8. Those really big flags on the field before a sporting event? Not OK. Section 8c: The flag should never be carried flat or horizontally, but always aloft and free. Another one of those “don’t get me started” public displays. It is cool to see a really, really big flag … but then when you see how the flag is drug on the ground and wadded up at the end of the display, then I am not entertained at all. Posted February 27, 2013 by henrymowry in U. S. A. 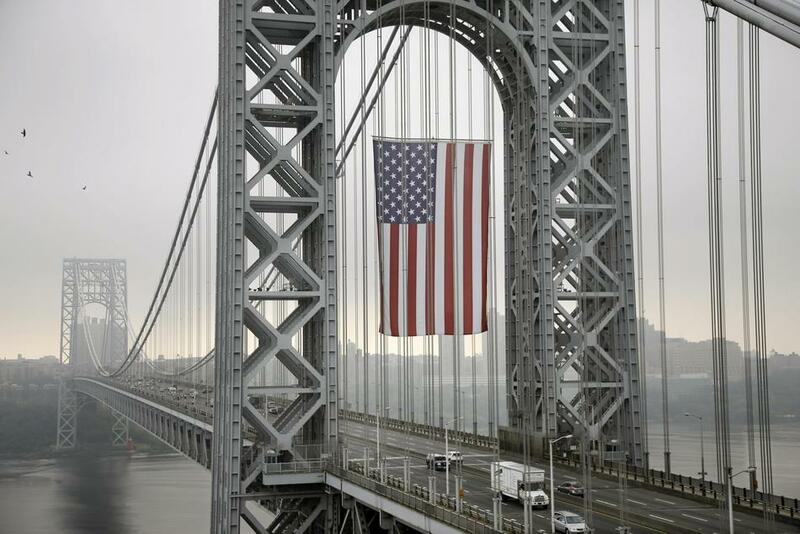 The first US Flag was authorized by the Continental Congress on June 14, 1777. That flag had 13 stars & 13 stripes … if you haven’t read my post on that topic, the link is below. The fact that this resolution was passed on June 14 is why we now celebrate Flag Day on that day. Resolved, That the flag of the United States be made of thirteen stripes, alternate red and white; that the union be thirteen stars, white in a blue field, representing a new Constellation. 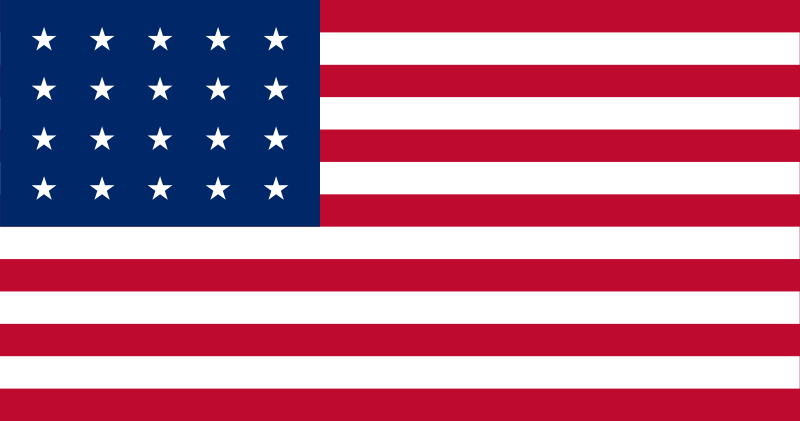 The second US Flag was authorized by the Flag Act of 1794, and it had 15 stripes and 15 stars. That flag would last for 24 years, and see 5 more states enter into the Union before a new law was passed. An Act making an alteration in the Flag of the United States. Be it enacted by the Senate and House of Representatives of the United States of America in Congress Assembled, That from and after the first day of May, Anno Domini, one thousand seven hundred and ninety-five, the flag of the United States, be fifteen stripes alternate red and white. That the Union be fifteen stars, white in a blue field. The 20 star flag served for just one year, as Illinois became our 21st star in 1819. 30 stars have been added to this flag. The 50-star version was designed by a student in Ohio in 1958. Lincoln did not alter the flag after the Confederate states seceded from the US. He did not feel their secession was legal; we fought the Civil War to ensure 1861’s 33-star flag would continue to be our flag. Though the number of stars did not change, their color did! Many Civil War-era flags used gold stars in the blue field of the flag, as opposed to the more common, specified, white stars. Even though the number of stars and stripes was specified by the 1818 law, the arrangement of those stars was not codified until Roosevelt signed the US Flag Code in 1942. There are anecdotal stories of flags with gold stripes that were produced in the early- to mid- 20th century. These flags may or may not have been produced by the U.S. Army Quartermaster Depot in Philadelphia (records show they were discussed and recommended by that group). However, there was never any approval and these flags are not in compliance with the 1818 law or the 1942 code that governs the design of the US flag. There was no official pattern for the stars on the flag until the adoption of the 48-star flag in 1912. The Army and Navy did use standardized designs, but there was variation between flags based on personal preference. 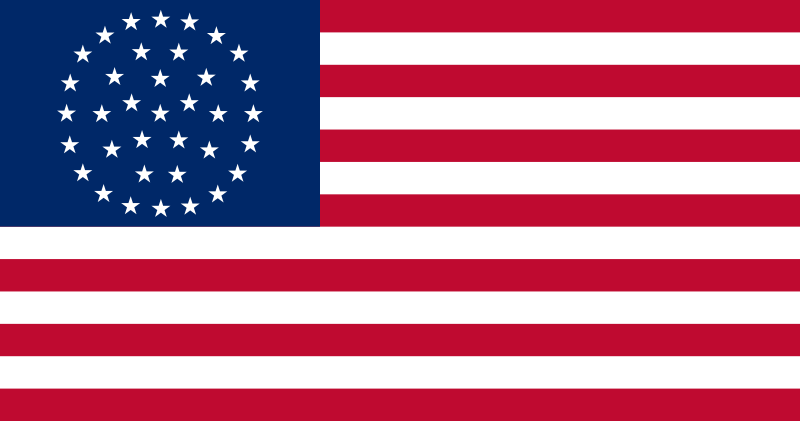 This alternative design of a 36-star flag could have been used from July 4, 1865 until July 3, 1867. A 37-star flag was introduced on July 4, 1867. A flag protection movement surged in the late 1800’s, but failed to win federal legislation. States began to pass their own laws on how to treat the US flag, and by 1932, all states had adopted flag desecration laws. These laws were superseded by the US Flag Code which was ratified in 1942. The US Supreme Court has since ruled that freedom of speech, guaranteed by the First Amendment to the US Constitution, trumps any flag desecration laws. The Flag Code is a guide to how citizens should treat the US flag: there are no penalties for not following the Code. The current 50-star flag has been the US flag the longest of the 27 different flags that have waved over the United States. 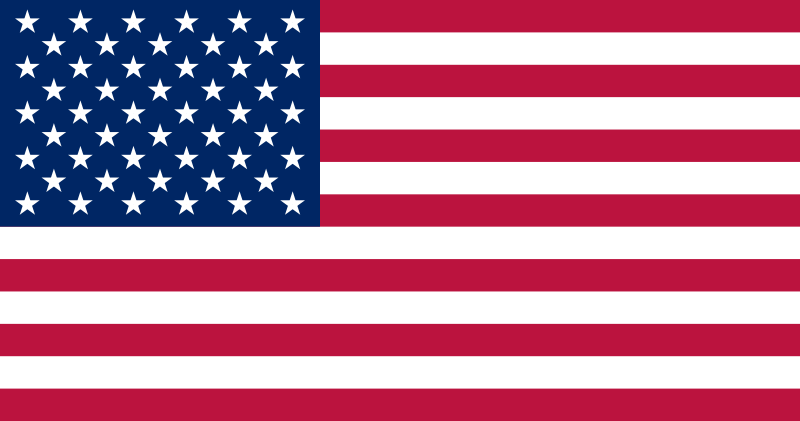 The flag with the second longest tenure was the 48-star flag, which was the US flag for 47 years, 1912 – 1959. The 50-star flag became the official US flag on July 4, 1960: the first July 4th after Hawaii was admitted to the union. Gold Stripes on WWII Casket Flags? Posted February 21, 2013 by henrymowry in U. S. A.
I hate it when people lie. And when people lie to kids, that’s just evil. I was lied to. You too, probably. Here’s the truth: Betsy Ross didn’t sew the first American flag. Here’s more truth: no one really knows who created the first flag, but the smart money seems to be on Francis Hopkinson, a delegate to the second Continental Congress and a signer of the Declaration of Independence! He actually submitted a bill to the Congress for services rendered in designing the flag. Which they refused to pay, as many people were involved in the design. According to Congress. And they never lie. 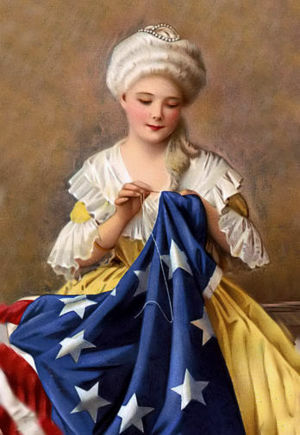 The Betsy Ross legend, come to find out, didn’t even become public until 1870, 34 years after her death and nearly 100 years after the American Revolution. The story was first presented in a paper by William J Canby, Ross’ Grandson, in a paper presented to the Historical Society of Pennsylvania. 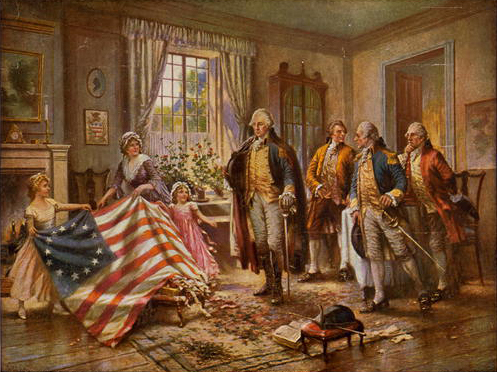 Canby declared that in early 1776, a secret committee from the Continental Congress came to Betsy Ross, a single mother running an upholstery business, to sew the flag based on a design George Washington sketched on Betsy’s table. The secret committee included Betsy’s uncle, George Ross, Robert Morris (perhaps the wealthiest man in America at the time) , and George Washington – who had the pew next to her at church. The iconic moment, captured in many paintings, was when Betsy demonstrated to the gentlemen that rather than using the 6-pointed star that they proposed, a 5-pointed star would be better as it could be cut with one motion of her scissors. But there’s no proof this ever happened, except for family stories passed down within the Ross family … which kept it a secret for almost a hundred years. However, Canby’s story captured the imagination of America and it became a part of the public discourse … and was generally accepted as true. I learned it in school as fact. How about you? 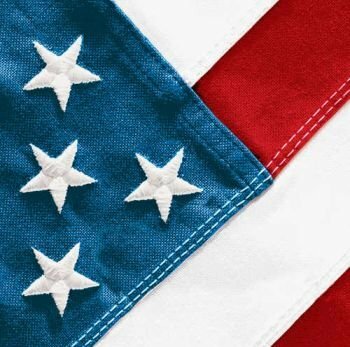 To figure out who made the actual first flag for the United States of America, there are a few basic questions to be answered. 1. When could such a flag have been made? Not before there was a nation, certainly. The Declaration of Independence was not ratified until July 4, 1776 … and Ross had received a commission to make the US flag months earlier? It seems difficult to designate a flag before you have a nation. 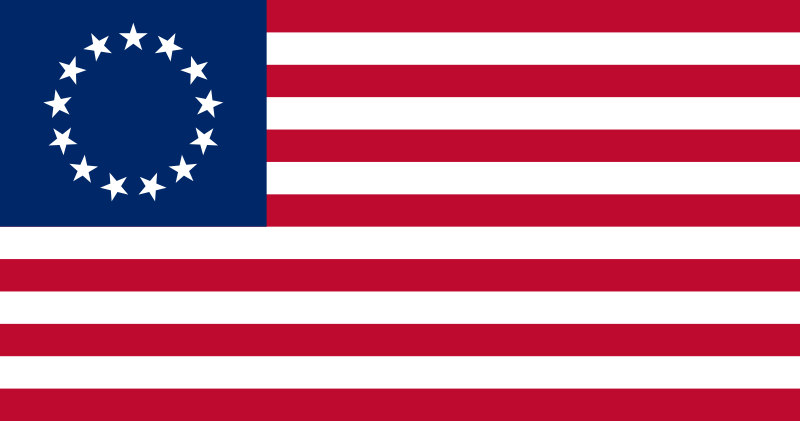 HOWEVER, historians have cited the “first” flag as the Continental Colors, which was used on both US ships (before there was a US) and at garrisons of the Continental Army. This flag was used until a more official flag was designated in 1777. 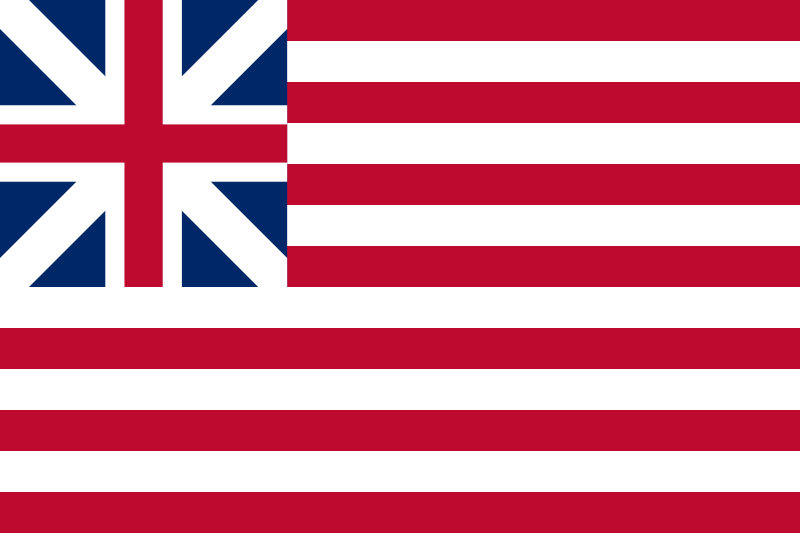 The Grand Union Flag, AKA The Continental Colors, was first hoisted on the ship Alfred, in Philadelphia on December 2, 1775, by Lt. John Paul Jones. 3. Who designed it, and who made it? We’ll never know. Finally, on June 14, 1777 the Continental Congress adopted the following: Resolved: that the flag of the United States be thirteen stripes, alternate red and white; that the union be thirteen stars, white in a blue field, representing a new constellation. There was no provision for exactly how the stars should be arranged, nor what the size of each element should be. Those details varied in the subsequent years. 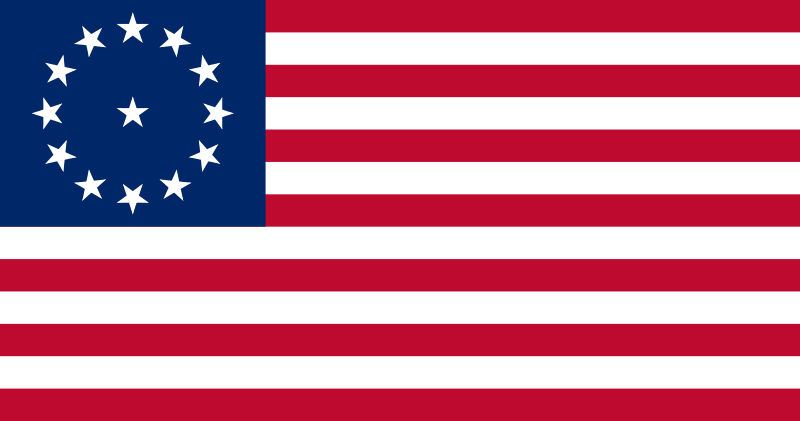 Here’s the “Betsy Ross Flag” that I grew up assuming was our nation’s first flag, along with two others that also fulfill the Congressional Resolution of 1777. It’s true that Betsy Ross made flags, and may well have sewn this flag. Was it official? No more than the other contemporary designs that fulfilled the Continental Congress’ resolution. This is the flag that Hopkinson billed Congress for the creation of. It certainly fulfills their requirements laid out in the June 1777 resolution. The Cowpens Flag was said to have been carried by William Batchelor of the 3rd Maryland Regiment at the Battle of Cowpens, January 17, 1781. Originally entitled Yankee Doodle, this is one of several versions of a scene painted by Archibald M. Willard in the late nineteenth century that came to be known as The Spirit of ’76. 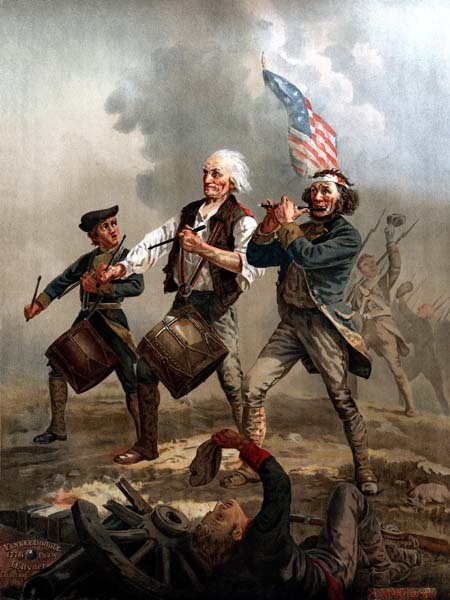 Often imitated or parodied, it is one of the most famous images relating to the American Revolutionary War. The life-sized original hangs in Abbot Hall in Marblehead, Massachusetts. The painting uses a Cowpens flag. There is a belief among many that the first “official” US flag was raised at a summer-long encampment of the Continental army at Middlebrook, New Jersey in 1777. That flag is assumed to be the Hopkinson flag, not the Betsy Ross flag. 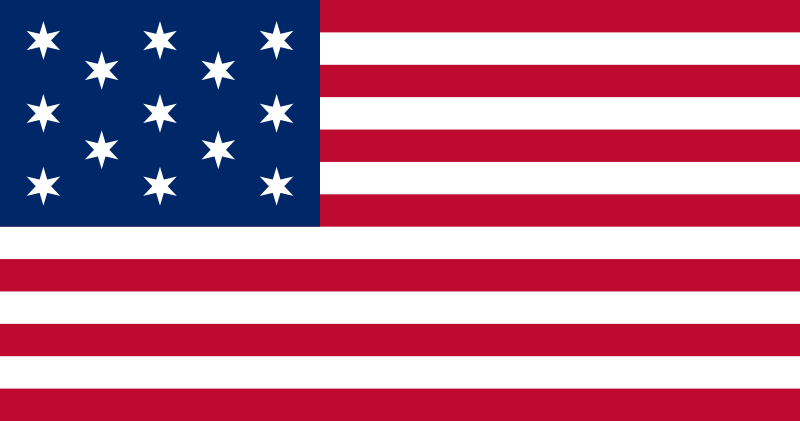 If the Continental Congress approved a specific version of the flag, that was never recorded. We do not know which design was the first accepted flag of the United States of America. That distinction was apparently not important to our founding fathers, and didn’t become important until truth seekers began to clamor for an answer about 100 years after the fact. And that is frustrating. Life was much simpler in grade school, wasn’t it? Betsy Ross showing Major Ross and Robert Morris how she cut the stars for the American flag; George Washington sits in a chair on the left. Painting by Jean Leon Gerome Ferris (1863-1930). 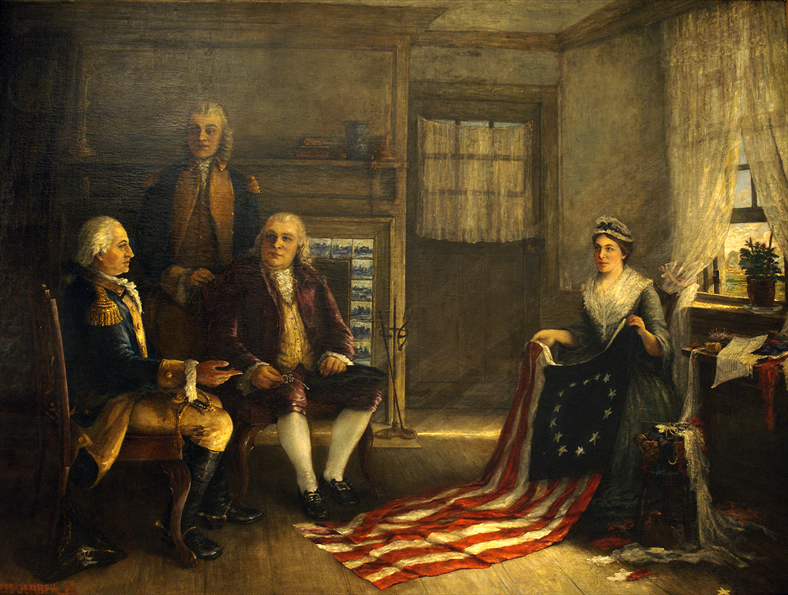 The Birth of Old Glory, by Percy Moran, has Betsy Ross showing her flag to George Washington and three other gentlemen. Painting was done circa 1917. 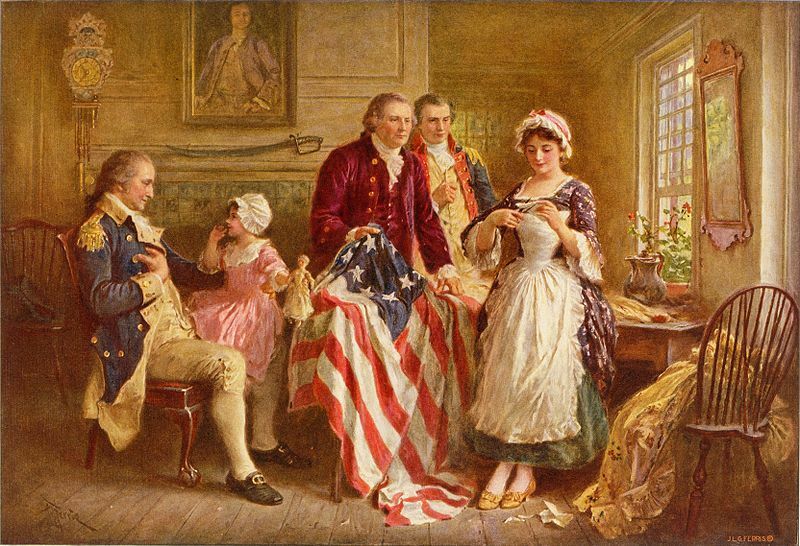 Charles Weisgerber’s 1893 painting of “The Birth of Our Nation’s Flag” helped make Betsy Ross one of the most famous women in American history. Since no images of Ross existed, Weisgerber created her face from photographs of her daughters and other female relatives. The publication of this illustration – in a book authored by Ross’ descendants, no less – cemented her place in American lore. Posted February 6, 2013 by henrymowry in U. S. A.